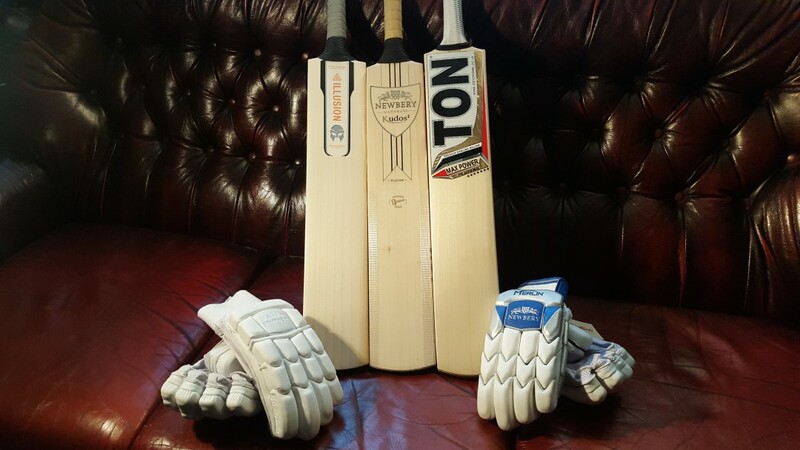 In recent times, I would argue that cricketers are starting to know more about the cricket equipment market as a whole, perhaps more than ever before. Today, thanks to increasing internet coverage – especially through social media – cricketers are more informed, often bordering on the fastidious when choosing their equipment – looking for particular traits that fit their specifications to a tee. As I have made aware in previous posts, I am a self-confessed cricket equipment badger. I’ll scower brands’ social media pages in the build up to a new product launch, even if I don’t even end up buying it. I just love that sense of seeing what a particular brand has to offer for that season – whether there have been any major changes or if they have made a few subtle tweaks. For the past few years, I have also been an avid follower of the perennial All Out Cricket and The Cricketer gear tests, where a select group of amateur and ex-professional players cast their eye over the latest equipment and rank which are their favourites. (That’s pretty much heaven, right, testing new gear?!) Some of their findings determine buying trends for the year, whilst it must be stressed that there is always likely to be a discrepancy between their views and your own, as a bat that scored very highly in the tests might not suit your batting style, no matter how badly you want it. That is why, in this blog, I wanted to cast my opinion on this year’s equipment: what I like and why, but unlike the gear tests from the popular magazines, what I think needs addressing, too. Firstly, are bats, and for this section, much like “Paul’s Top 5 Bats in Our Store” videos, I have drawn my attention to five bats that have really grabbed my attention for this season; some of them have been very popular so far this winter, whilst others are personal favourites. A nice breath of fresh air from TON, moving away from their usual shapes. I like how the lettering has changed from white to black, it’s a subtle but effective change. As is the shape of the handle from round to a more oval. I really like the shape, with a slightly higher middle compared to the bats in the rest of the range. Plus, the red and gold colour scheme: it’s flashy enough without being too ostentatious. It’s almost regal. Some real thought has gone behind the TON range for 2016 and for the better in my opinion. If you’re looking for the minimalist aesthetic in your next bat, look no further. I can barely find fault with this bat, or with the Blank Bats branding as a whole. A gorgeous offering of an English made Grade 1+ English Willow bat, with stickers covering only the splice, meaning that the maximum amount of willow is available to see. Lovely. The looks are only matched with the performance, which is just brilliant. Again, I like the feel of the handle which tapers to a more oval shape at the bottom. This helps with the pick-up, as does the slightly duck billed toe. My only issues with this bat are that it is almost too minimalist because there is no indication as to what model the bat is, (maybe a nice “B4” detailing to add in the future) and the limited availability is slightly frustrating, because at £284.99, for a grade 1+ English Willow bat that’s handmade in England, what’s not to like?! A lovely looking bat, in terms of stickers and finishing, with the newly updated Sussex Shield branding, plus a stylish gold and black multi textured grip, makes for a majestic, almost by royal appointment look. A dreamy pick up, complimented with a performance that packs a real punch for me. I’m told that the Kudos2 is pressed differently to any other bats in the Newbery range and it shows – we have even noticed this in terms of the different sound off the mallet. However, I find the handle to be a little on the thin side, plus the Newbery Hammer Edge Sheet hides a further look at those lovely grains, which is a bit of a shame. Also available in the top SPS grade, I have actually singled out the (lower) Player grade, purely as I feel the difference is not as significant as the £100 price gap suggests! Perhaps I’m being a little biased here because I own one of these bats, but it’s not the only reason. The bat features a duck billed toe, so it gives the ‘illusion’ of a lighter bat for its weight. 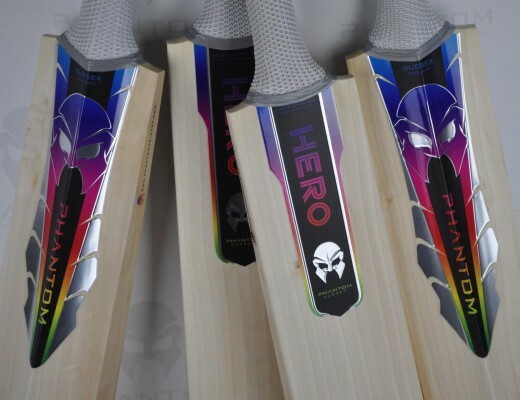 The Phantom Pro Reserve Grade bats are made in England from Grade 1+ English willow, available in a range of weights and are finished with classy, minimalist branding, with touches of chrome and embossing, which is a feature many a cricketer likes to see these days, especially on a top end bat. My only issue is the use of orange, but when it’s added together with black and chrome, it seems to offset it a little. If anything, it’s growing on me. I just hope my batting can somehow do this stunning bat justice in 2016! Both these gloves I have reviewed recently on the It’s Just Cricket YouTube channel, I was equally impressed with both and I can see why they have proven popular so far this season. The SPS offer a traditional style in a modern package; the all-white colour scheme really appeals to my tastes, whereas the Merlin is an incredibly light and flexible pair of gloves, featuring the much desired Pittards Leather palms. Some real thought has gone into the designing of these pads: they feature an extra cane rod, eight rather than the usual seven, which is integrated into an oversized side wing for a better wrap around feel. Plus, the top hat is shorter for a better fit, whilst the inside has quilted lovelone, which looks and feels incredible! The attention to detail on these pads, especially from a smaller brand, is staggering. The Rolls Royce of batting pads? Popular with both customers and the IJC crew, The Gray-Nicolls Supernova duffle typifies the modern duffle bag trend. It has been without doubt one of the most popular bags we’ve stocked over the winter. Multiple pockets means that your kit bag is incredibly organised, plus the stand-up feature saves space in the dressing room. For those still loyal to the traditional wheelie, the Newbery Merlin bag is a brilliant choice in my view. Three wheels and a suitcase handle make it stable to trundle along. However, the sheer size of it might not be the best option for smaller dressing rooms. For a bag of this magnitude, you’d expect that there would be more than just the one external bat cover, although there is ample space to house a stick or two on the inside. 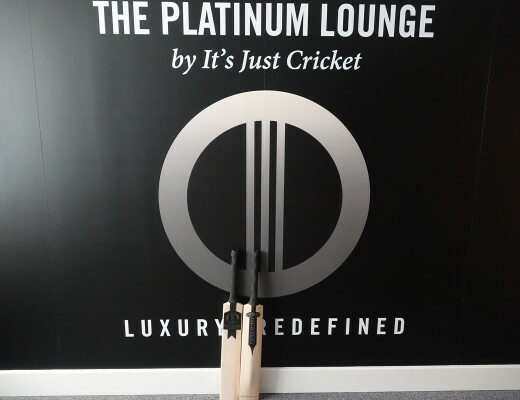 Notable mentions include the stunning Hard Case “Coffin” from Stretton Fox, exclusive to The Platinum Lounge here at It’s Just Cricket; oozing class and harking back to cricket of yesteryear. Finally, the Duffle Wheelie from TON combines both a wheelie and a duffle in an innovative and incredibly organised, value for money package. Firstly is TON, where a subtle change of branding, from white to black lettering, has really made a difference. It goes further than just the stickers, with more distinctive shapes, plus the handle shapes have changed from very round to oval. I love how they have (finally!) gotten rid of the hideous marker pen branding, and replaced it with the more restrained and classy burned effect. Furthermore, they offer great value for money: you can find some great performing SH bats well under £200, some even below the £100 mark. But I think the brand that has impressed me the most, in terms of development, is Kookaburra. In the past, I thought that a lot of the Kookaburra range was rather similar and lacking in variety. In 2016, each bat is distinct in its shape. Kookaburra have created a range where at least one bat from their brochure can appeal to any type of batsman, no matter what his budget is. Not many other brands can claim that. The impressive performance and value for money in the lower grades is worth mentioning, and the minor tweak of moving the Kookaburra bird from the side to the middle of the bat gives a more stand out look. Plus, their player roster boasts some of the hottest names in the game right now, such as AB De Villiers, Martin Guptill and Jos Buttler, which certainly helps the brand to achieve further kudos. Finally, I think there’s real thought behind the softs range, tailoring to different budgets and aesthetic tastes. The new KD4000 and KD5000 duffle bags have proven popular, especially as they are available in a choice of colours, unlike some other brands. This may come as a surprise, but Adidas’s range for 2016 hasn’t really impressed me at all. I can accept that the Adipower Vector range has gained popularity over the years with both professionals and amateurs, and it’s only natural that a ‘if it isn’t broke, why fix it’ model will please many. But, for a company like Adidas, I feel they have done something very anti German; a half done job. Okay so, the SL22 has been tweaked, but in my view not to a great degree. It’s a bit of a token effort to freshen up a tired shoe. The introduction of the eagerly awaited SL22 Boost has created a certain amount of hype, and the unique sole on these hotly anticipated shoes intrigues me, but that’s as far as it goes for me. The colour scheme is all a bit too Spiderman this season, even in the bat stickers, which despite there being two different shapes, look rather similar in terms of branding. Unfortunately, Adidas seem to be more interested in embellishing the graphics rather than developing the actual product. Style over substance. Adidas are market leaders in other sports such as running and football, pooling a vast amount of funding and resources into new product launches, year upon year, so why can’t they do that in cricket? 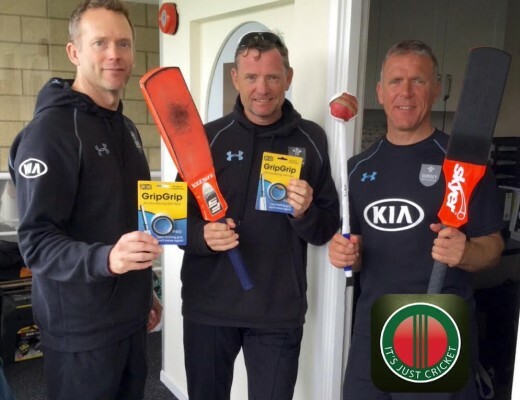 Finally, the Gray-Nicolls classic bat range; it just hasn’t lived up to expectations. When I first saw the images for the new ranges, I fell in love with the retro look; it’s what I’ve been crying out for Gray-Nicolls to do for years. But when I saw the bats in the flesh to handpick some at Robertsbridge recently, there were very little from this range that wowed me. I expected to see some very attractive bats but nothing really grabbed my attention, with many appearing to be graded higher than I would normally expect for the looks. Added to that, the Select has thus far, been unavailable in lighter weights despite being advertised as 2lb 8oz+. Hopefully the next batch of these “Classic Collection” bats will be able to meet my expectations. 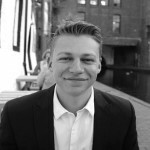 The views expressed in this blog are those of the author, Amos Kemp, and do not necessarily reflect that of It’s Just Cricket Ltd.